La Roche Posay commissioned me to create this “Sun Girl” illustration for their #SaveOurSkin campaign to help raise awareness for skin cancer prevention. 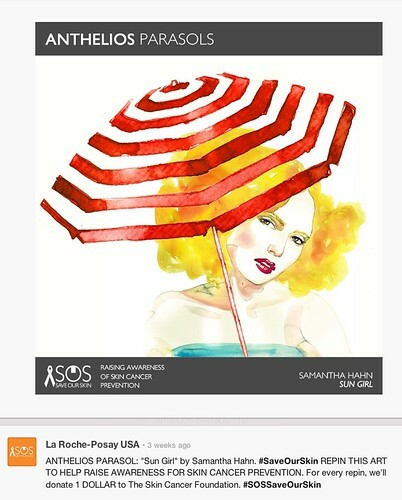 For every repin on their Pinterest campaign page they’ll donate $1 to The Skin Cancer Foundation. Let’s hope it’s a beautiful sunny weekend so we can get some fresh air (wearing a hat, sunglasses and suntan lotion of course! ).